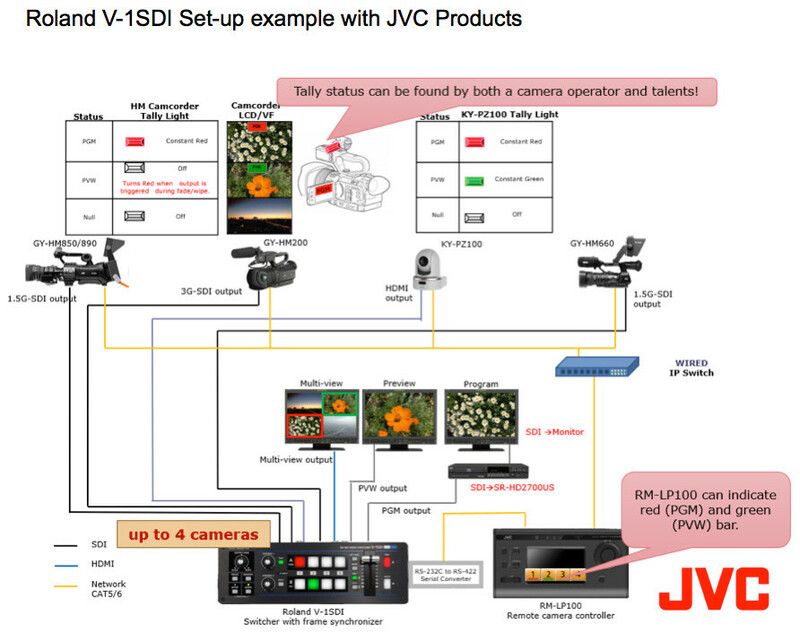 Production bundle with 3x GY-HM250E cameras, JVC RM-LP100E Remote Camera Controller and Roland V-1SDI 4-Channel HD Video Switcher. Included is also connection cable for RM-LP100E/V-1SDI connection. Cost effective solution for small studios as Ronald switchers in combination with JVC IP cameras like HM250, HM650, HM850 or PTZ cameras and RM-LP100 controller can offer very simple but professional solution incl. tally operating. Price 7.995,00 € is valid for payments via proforma invoice with advance payment via bank transfer. For payments with credit card there is a 2% transaction fee (price of this product when paid with credit card is 8.154,90 €).